Do you run a company that has yet to experience the innovative benefits of Fusio-Tech UV Black Piping by aquatechnik NA? This product has the distinction of being the first fusible polypropylene pipe solution that also has built-in protection from UV rays! Your team will immediately observe a substantive decrease in labor hours as well as a significant boost in installation when working with outdoor fusion pipe. In addition, pipe painting for the purposes of improved ultraviolet protection becomes practically unnecessary. With durability intended to last for several years and varying weather conditions, Fusio-Technick UV Black Piping uses the finest in polypropylene quality and it continues to be the only industrial strength pipe of its kind. Fusio-Tech UV stabilizer has been put through a rigorous amount of testing to all but guarantee what is likely the highest level of UV resistance currently available on the market. The pipe can also resist cement, plaster, and electrochemical reactions. Besides facilitating outdoor installation, the pipe can be welded or fused without pipe or fittings treatment. Utilize it for transporting hot or cold potable or non-potable fluids, in industrial applications, there is nothing quite like this groundbreaking pipe on the market! 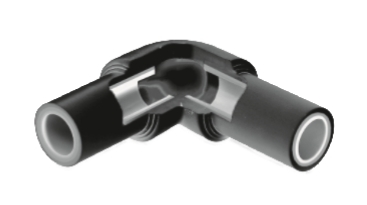 If you wish to learn more about Fusion-Tech UV Black Piping, check out the MIMECO product page or give us a call and we’ll tell you more about it.